Salvia Allen Chickering is a hybrid between Salvia clevelandii and Salvia leucophylla and has many of the best attributes of both. Salvia Allen Chickering grows to 5 feet or more tall and wide. 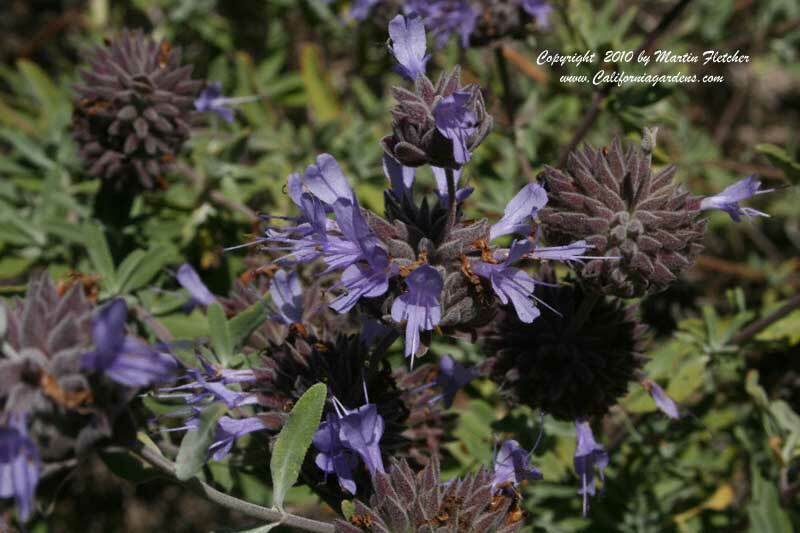 The Allen Chickering Sage is quite fragrant and has gray foliage. The lavender blue flowers come on in Spring and can last well into Summer and may repeat in the Fall. Salvia Allen Chickering should be grown in full sun with good drainage. Plants are quite drought tolerant once established. Salvia Allen Chickering is a great nectar source for the Painted Lady, Mournful Duskywing, the California Dogface Butterfly and the Northern White Skipper and is a nice addition to the Butterfly Garden. Salvia Allen Chickering is Winter hardy into the mid to high teens. High resolution photos of Salvia Allen Chickering are part of our garden image collection.